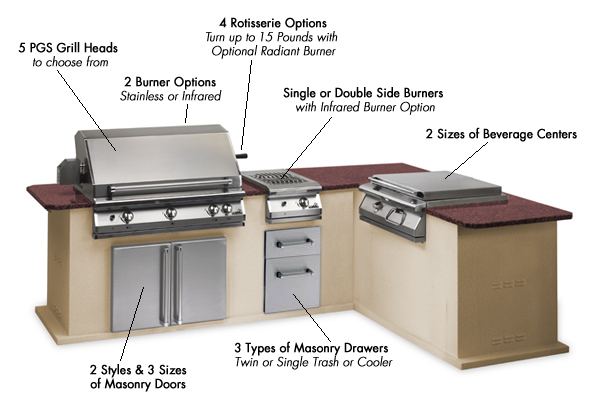 You can also order your complete PGS Outdoor Kitchen online, using the 10 easy steps at the top of this page. PGS Legacy grills can be mounted on stainless steel carts or in custom masonry enclosures, and offer one of the most comprehensive warranties in the industry. 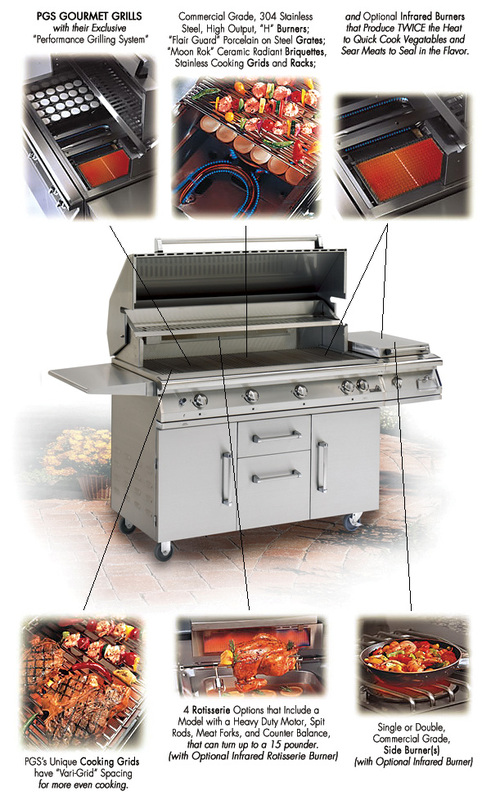 Matching PGS outdoor kitchen options and accessories for this 48" Big Sur Grill include: commercial grade side burners, infrared searing burners, beverage centers, and a variety of 304 stainless doors, drawers and utensils.